Doll Sewing Workshop | Crozet Arts: Dance-Music-Theater-Visual Arts-Yoga Ballet, theater, art, music, yoga classes in Crozet, western Albemarle, near Charlottesville, Virginia. 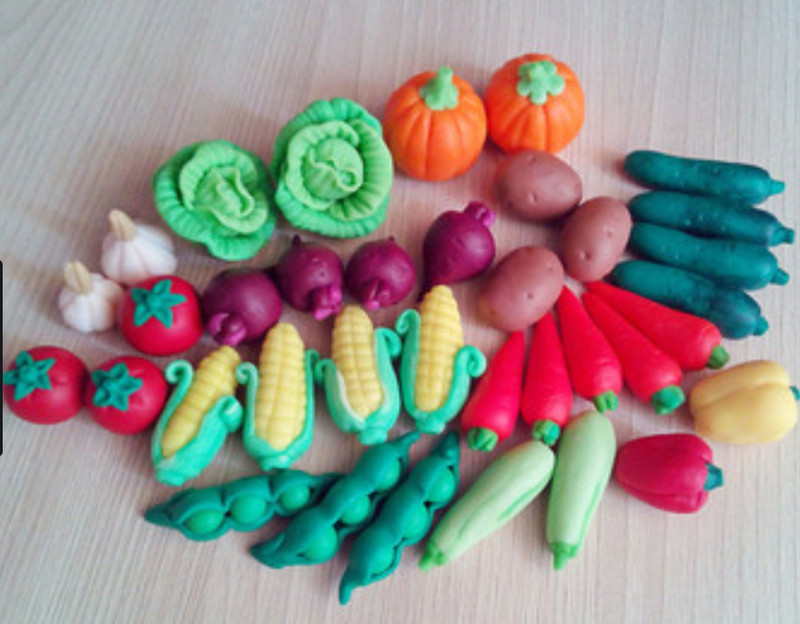 The polymer clay food was such a hit last summer that we decided to make garden vegetables this year! 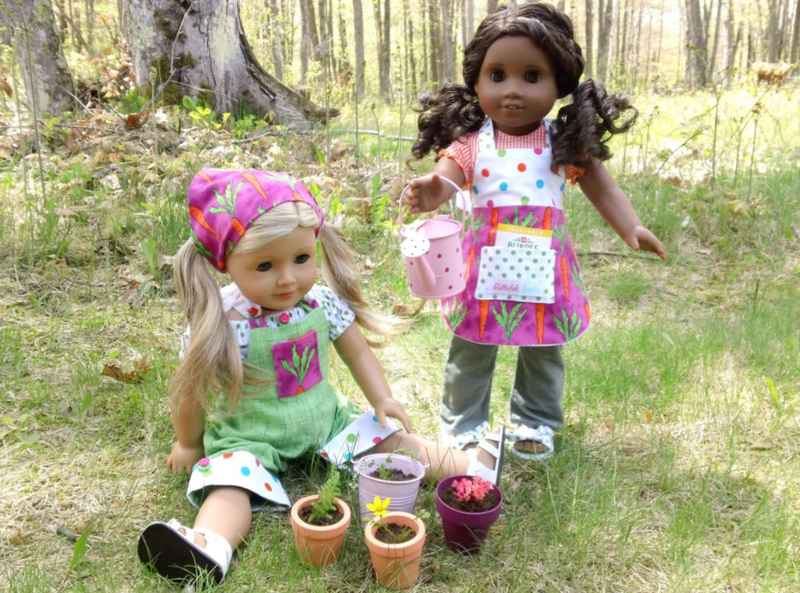 Students will sew a doll gardening outfit and other accessories. They will make pretend garden items. Ages 10 and up will learn to use sewing machines to make some of their items. All supplies are included. Please bring a snack, water bottle, and 18” doll to class each day. No sewing experience or sewing machine needed. For rising 1st Grade and up. Older students are welcome to participate and sew small items for themselves instead of for a doll. There will be a one-hour supervised lunch break from Noon – 1:00 pm if students would like to enroll in the Arts Sampler #1 that meets from 9:00 am – Noon, and then stay for the Doll Sewing Workshop from 1:00 – 4:00 pm. Students should bring a lunch to eat during the break. Or, students may arrive one-hour early for Doll Sewing, and bring a lunch to eat before the workshop begins. Bring-a-lunch option: $25 for the week. Click here to learn more about the Arts Sampler Workshop. the One-hour Supervised Break on the Pay for Classes page here.